This is I created for a design class. 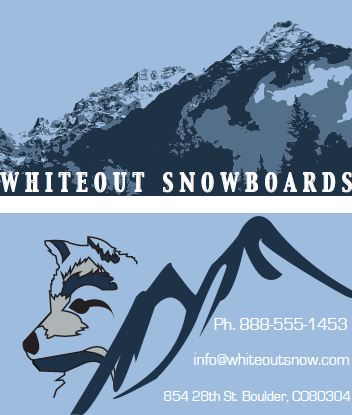 The assignment was for a made up snowboarding company called Whiteout Snowboards. I also designed a business card using a different treatment of the logo.